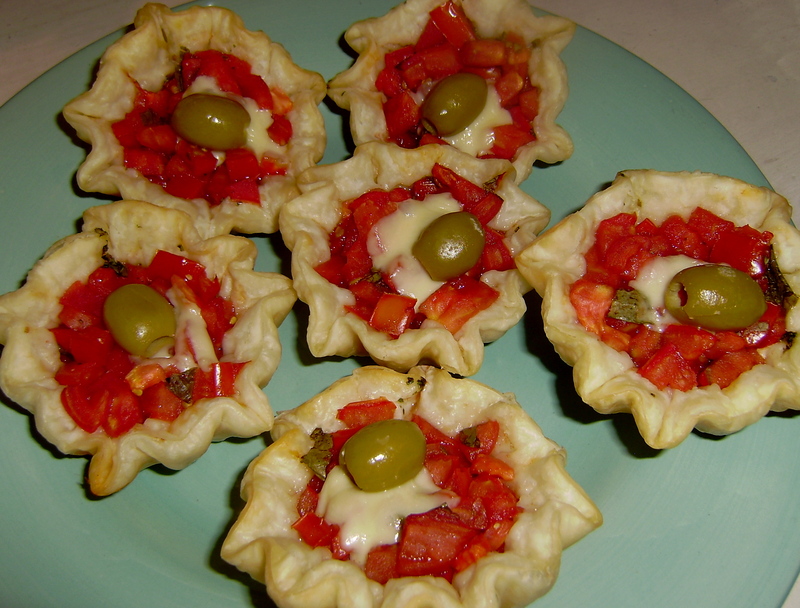 These Empanadas were inspired by my little sister Liz, who came up with the recipe. Parboil two tomatoes and leave the other two raw. Dice all of them and mix with chopped basil. Marinate the mixture in basalmic vinager and olive oil in the refigerator for up to an hour. 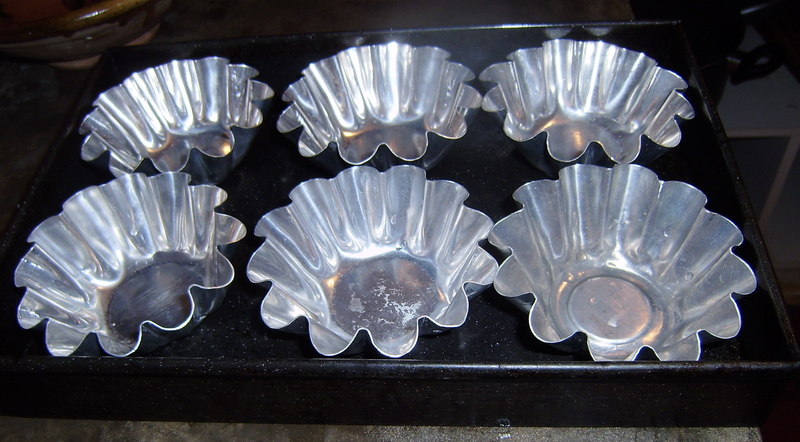 Cut your pastry sheet so that it fits to the size of your muffin tins. I didn’t have a muffin tin but I made it work! 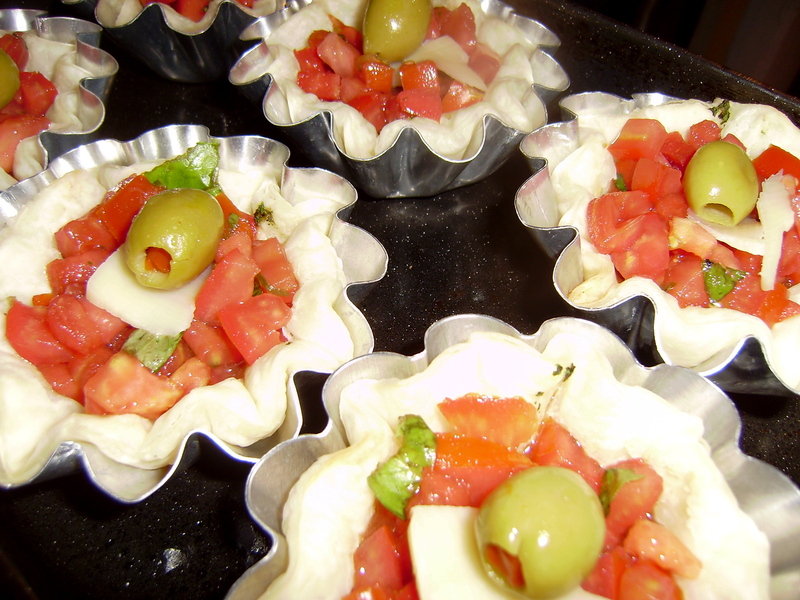 Cut up your mozzerella into small cubes, and put a small portion in each muffin tin. Also add a dollop of pesto if you like. 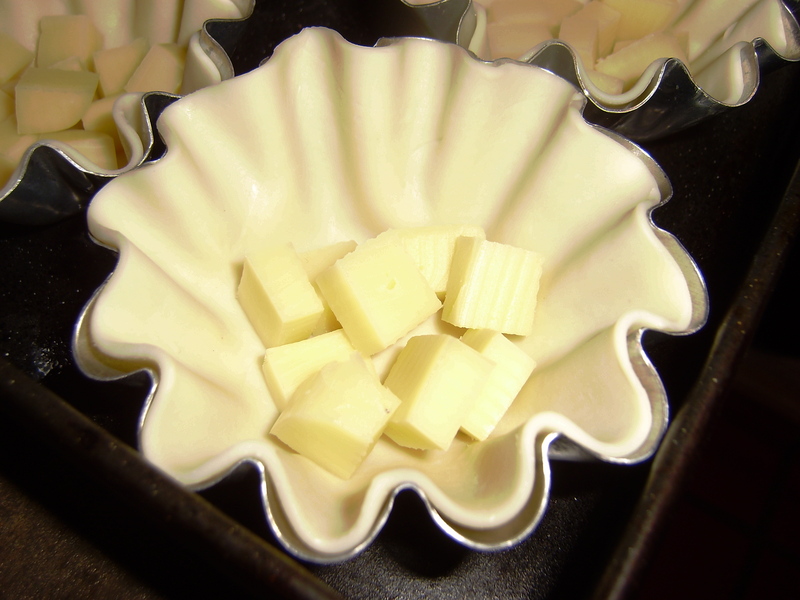 Bake in the oven at 350 degrees until the cheese is completely melted. 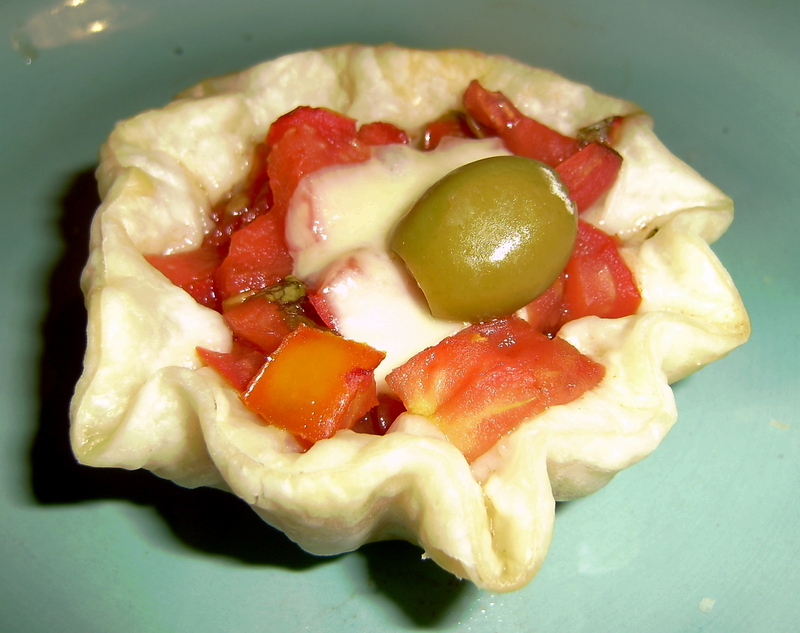 Remove from the oven and spoon in tomato concoction and garnish with green olive. Return to the oven for 10 minutes, until tomatoes are heated through. Yours turned out so much prettier than mine!